The opinions of graduate students in science have been solicited to determine how useful science in social media has been for them and how it can be improved. Another perspective – the professor's – is considered as we wonder whether there are benefits for them to jump on the social media bandwagon as well. 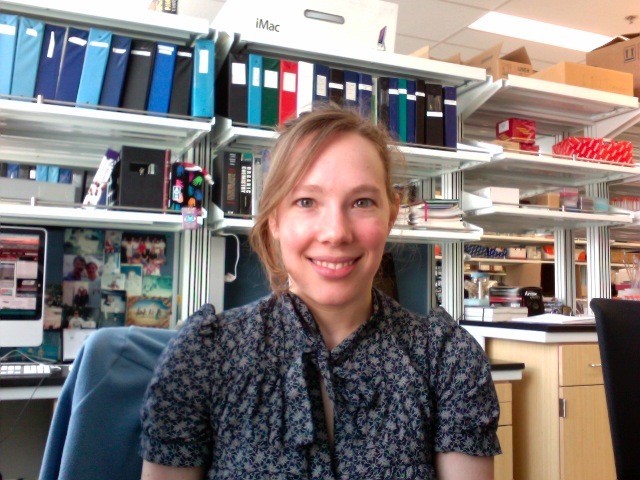 Holly Akilesh, a graduating Ph.D. student in the Immunology Program at Washington University, has used social media in her efforts to find a job. Through Facebook, Holly contacted a former post doc from the university for advice on industry jobs, specifically asking what types of jobs are available, how to find a post doc position in industry, tips for shaping her resume to get noticed by employers in industry, and what kinds of skills companies would be looking for if she were to do an academic post doc. LinkedIn is a large professional networking site and a popular option for students looking to build connections and find jobs. Although Holly has not signed up for it, she can attest to its potential usefulness as a hub for job postings, as jobs she has discovered through a particular company's website can also be found on LinkedIn as well as other places such as the "Naturejobs" website. 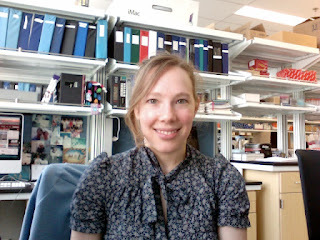 Jen Yttri has recently graduated from the Immunology Ph.D. Program at Washington University. She is pursuing a career translating science research for policy makers and the general public and is thus searching for fellowships, internships, and jobs in science policy. Jen does use LinkedIn a bit. She says, "I've been steadily building my connections there but haven't gotten connections in the right areas…yet!" For the most part though, Jen has been using a more traditional, non-social media approach in her job search, such as websites, listserves, and personal contacts. "I've had the most success with old fashioned word of mouth – talking to people I know in science (or other areas!) and having them send names along or job postings they've seen," she reveals. It could be her specific field and type of job she is looking for, but in this case resources through social media have not immediately been the most useful method for finding job opportunities. Both Jen and Holly are surprised that social media isn’t used more by companies or institutions. Take Facebook for instance, used regularly by the vast majority of students. Holly has yet to come across any companies or universities utilizing Facebook for networking in science, and she has been actively searching for jobs for awhile. "It would be nice if it was used more. It would be refreshing to see Facebook used more for professional development, more than just socializing," she says. Examples are indeed rare, and MIDSCI is actually the exception; it has consistently used Facebook to post job openings, including a sales position at Implen in California as well as biotech positions at Diffinity Genomics in New York and Lamda Biotech in Missouri. Jen thinks that for any organization, social media can be valuable in piquing the initial interest of students with a post or tweet followed by the cultivation of that interest in more in-depth content in the future. Grabbing the attention of newly graduated professionals with diverse training goes beyond having a pool of candidates for a job; these individuals could contribute significantly in supporting an organization or advocating for its values. And for students, beyond hearing of job opportunities, connecting with organizations through social media allows them to expand knowledge of a field, increase familiarity with key players and hot topics, as well as gain better insight into the specific skills to cultivate for advancing in a field. An idea for how the Internet could be better utilized for students in networking and job searching has occurred to Holly recently during her job search. At a post doc seminar she attended, a panelist had mentioned that she found her current position in the neuroscience field through posting her resume on a website checked by faculty employers who initiate contact if they are interested. Holly thinks this type of job search should be used more ubiquitously in diverse scientific fields since it simplifies the process for students, and it could potentially be expanded to allow different types of employers the ability to look. On the other end of the spectrum, students can also take a more active role in using social media to network. For instance, Jen has heard that a good strategy for getting one's name out there is to read blogs of potential employers or perhaps those connected to these employers and then post feedback and comments. Actions like this could lead to name recognition when students do send in their resumes. "It's the high tech version of asking questions and talking to a presenter following the presentation," Jen says. Or, she also suggests starting a blog about topics relevant to one's career and directing the website to potential employers, which could indicate knowledge and proof of interest in the subject, possibly allowing one to stand out amongst all the job candidates. Though not all, or probably even the majority of, professors use social media in their professional lives, there are distinct benefits for doing so. An example of a professor embracing the use of social media is Vincent R. Racaniello, at Columbia University Medical Center's Department of Microbiology & Immunology. In an article he wrote for PLoS Pathogens, he lists the benefits he has personally encountered while blogging and podcasting about virology topics1. For instance, he has been able to reach a much broader and larger audience online than in the classroom. Additionally, he has even obtained advice and help from people when he has posted about his research. "Crowd sourcing can be used to accelerate science progress," he says. Dr. Racaniello also states that "the time spent educating the public about science is a priceless investment," which might not yield tangible benefits but surely speaks to the professors who pursued careers in teaching and academia in order to educate those interested in learning. The audience certainly benefits when experts in various fields take the time to engage in social media, as it is a convenient and free way to learn. Based on Dr. Racaniello's experience, his efforts are greatly appreciated by readers posting insightful questions following his blog posts and listeners telling him of their desires to enter the virology field as a direct result of his podcasts. Using social media is a great idea for connecting people interested in the sciences on a global scale and allowing people in the field to network. The world is experiencing a sort of revolution in education and professional development. Social media outlets offer a chance for someone in Asia to listen to an American professor's podcast on a science topic any time of the day. And, students can now use social media to advance their careers by searching through job postings or actively blogging about their fields. There is still room for improvement, however. Many companies and universities have yet to find a method of using social media that benefits their organization as well as their employees or students. MIDSCI is making steps in a positive direction, actively promoting networking and connectivity in science. For instance, MIDSCI uses Facebook to post stories from The New York Times or NPR to facilitate comments and discussions from scientists worldwide. It also lets people know of job openings in local biotech companies. It sees the importance of doing all this in order to ultimately make it easier for science to progress; we are no longer limited to seeking help or discussing science with labs down the hall or across campus but rather, global resources are at our fingertips. 1. Racaniello, V. R. Social Media and Microbiology Education. PLoS Pathog 6 (2010).